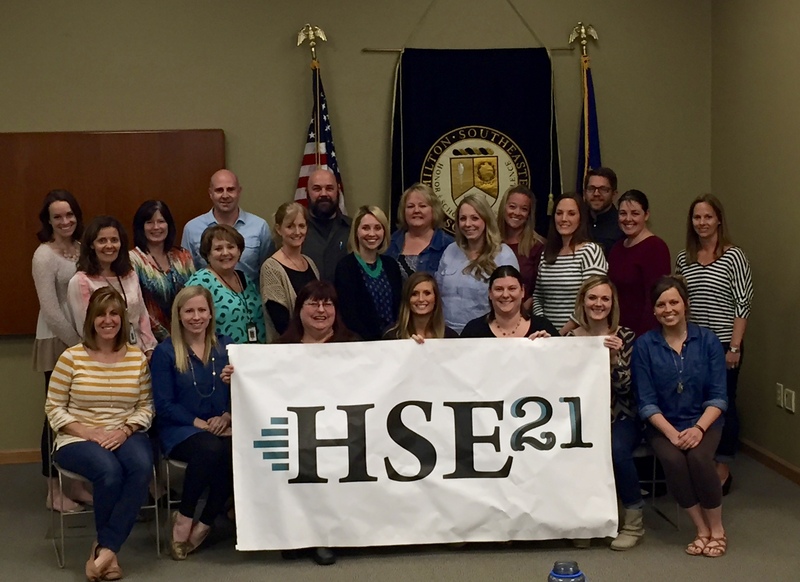 In preparation for next year’s 1:1 roll-out in our twelve elementary schools, a year ago this month an invitation went out to all K-4 teachers to join the 2015-2016 Elementary Design Team. Twenty-three teachers from across the district were chosen to receive professional development during the summer and throughout the current school year. The focus of their ongoing study has been how best to use technology as a powerful tool to support best-practice instruction. These teachers have learned together, have shared their successes and failures, and have reflected on how to improve student learning, with the goal of providing insight and support for the roll-out coming in August 2016. They have all led professional development in their buildings and at district events, and they are committed to working alongside their colleagues as mentors and guides next school year. Last Thursday, the Design Team met for their final training this school year. At the end of the day, we asked for them to reflect on what they’ve learned this year, and on how their students have grown. In the next several days, HSE21 Shorts will be sharing these reflections — you’ll be amazed at the insights these teachers (and their students) have gained! And, if this year has been any indication, next year’s most popular hashtags will be #transformativelearning and #studentcenteredinstruction!